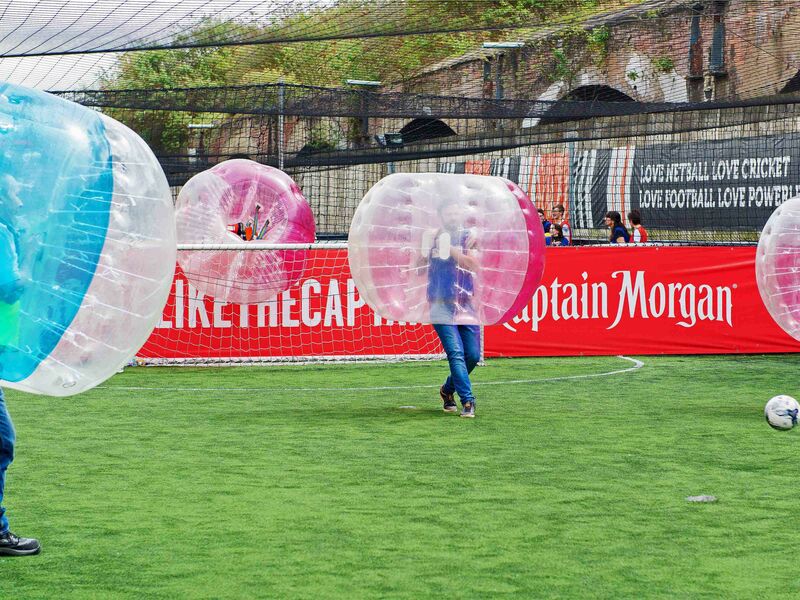 Bounce your way into married life with this hilariously epic zorb football stag do. 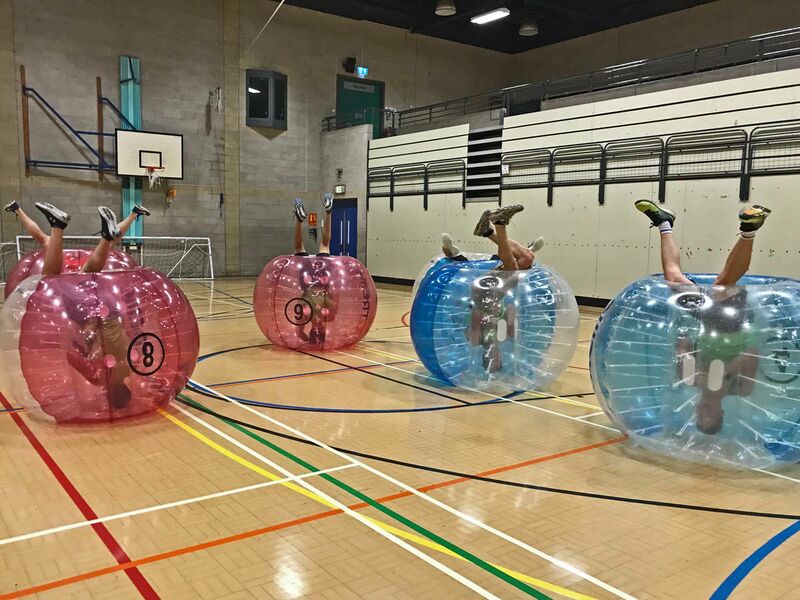 An experience like no other, this stag do bubble football activity will have all your friends laughing, bumping and getting a little competitive as you try to beat the rest in a giant, inflatable bubble! 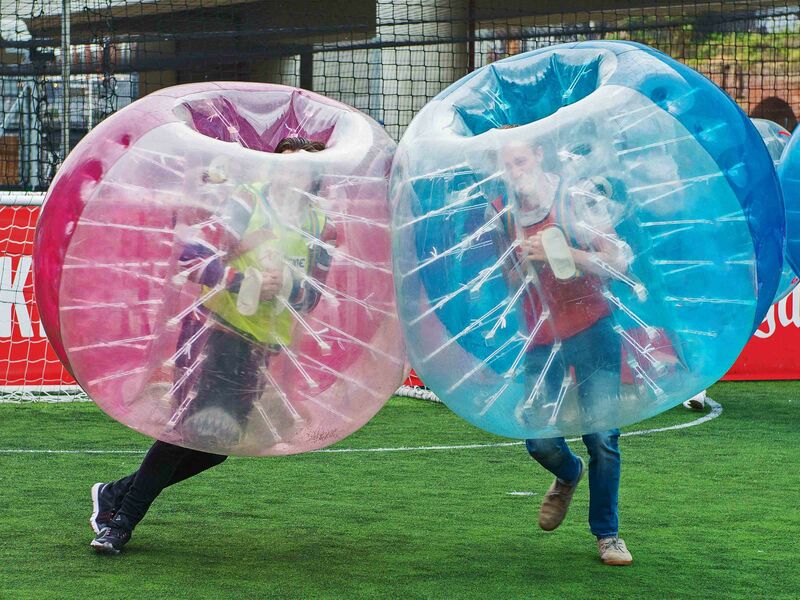 Think a normal 5 a side football game, and then put yourself in a bouncy hamster ball and that is exactly what this activity entails! 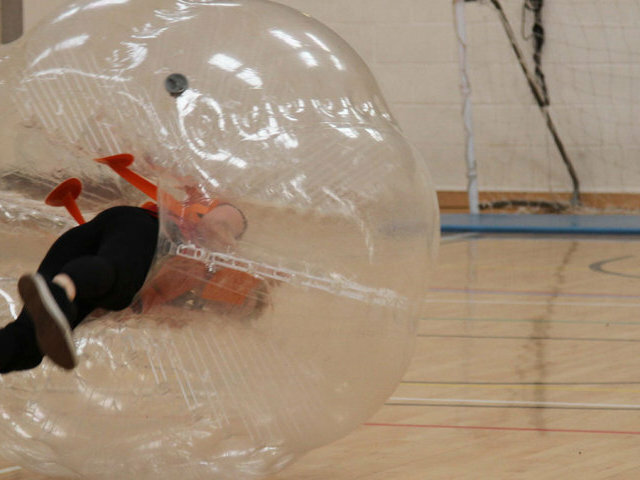 London is full of new activities to try out for your special day, but none are as popular amongst stags as a bubble football stag party. Throw together a unique, belly laughing experience with a classic and loved game that will have you showing off your best Cruyff Turn and you get the ultimate stag do event. Whether you’re a footy fanatic, or you just want to have a bit of fun, this hour long session is for you. 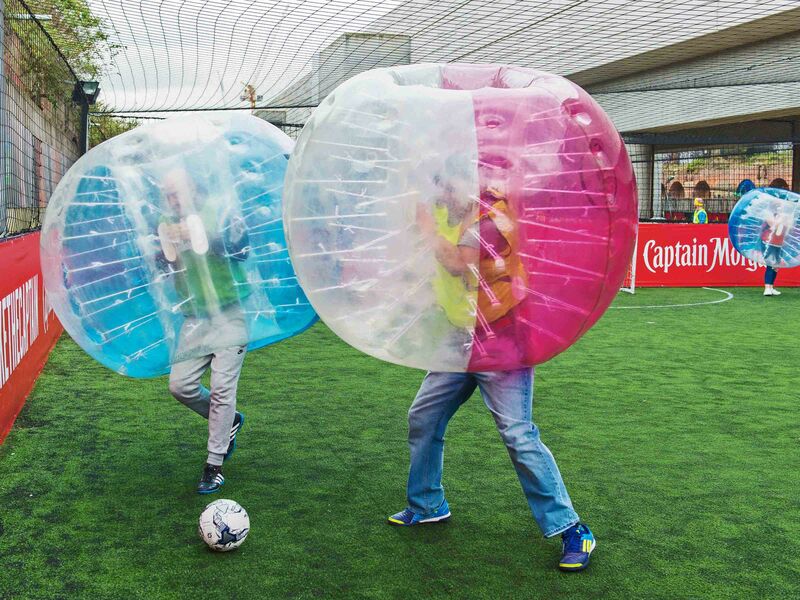 A stag do bubble football activity cuts out the worst part about aa stag do – the planning! With this experience, everything is done for you and all the equipment you need for the day will be provided. When you arrive, there’ll be an events co-ordinator, footballs, team bibs and the zorbs ready for you to make some funny memories. This means you and the best man can completely relax and look forward to beating each other for the win. 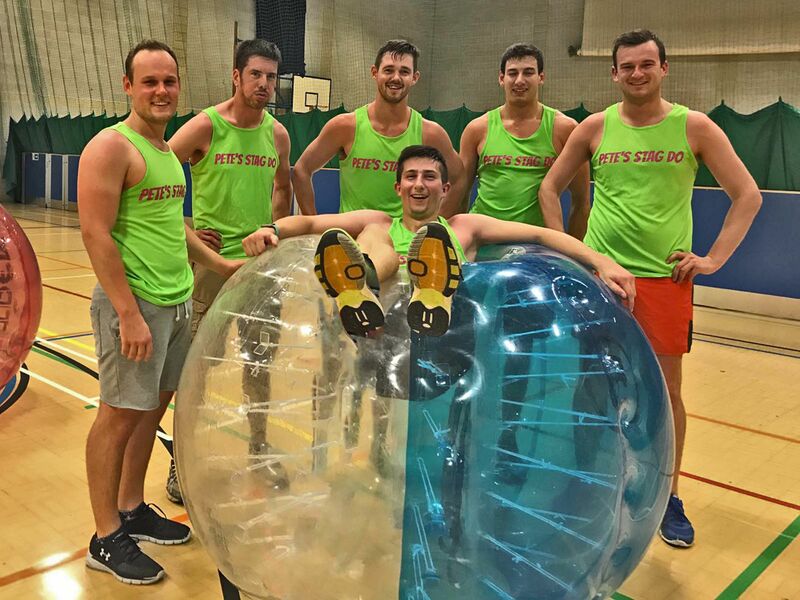 Most of our London zorb football stag do venues are located around the city centre, making it easy for you and your stag group to travel in and out for your session. It also means pubs, bars and restaurants are close by if you need some food after all that adrenaline! On sight, a lot of our venues offer changing facilities, as well as a small bar where you can grab a quick drink before the rest of your stag night.